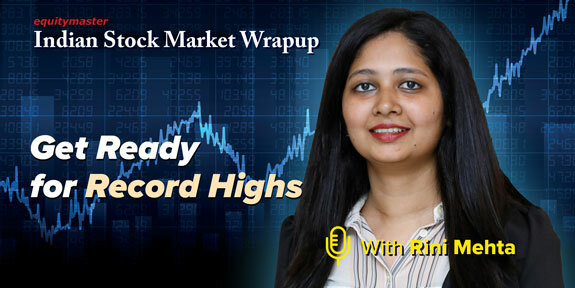 Share markets in India are presently trading on a flat note. Sectoral indices are trading mixed with stocks in the IT sector and FMCG sector witnessing selling pressure while realty stocks, energy stocks and metal stocks are witnessing buying interest. The BSE Sensex is trading up by 33 points, while the NSE Nifty is trading up by 12 points. The BSE Mid Cap index is trading up by 0.6% and the BSE Small Cap index is trading up by 0.3%. The rupee is currently trading at 68.81 against the US$. In the news from the commodity space, crude oil is witnessing buying interest today, pushed up by ongoing supply cuts led by producer club OPEC and by US sanctions on Iran and Venezuela. Note that crude oil prices were near 2019 highs last week, supported by supply cuts led by producer club OPEC. Reportedly, US sanctions against oil producers Iran and Venezuela are boosting prices. Last week, the OPEC scrapped its planned meeting in April, effectively extending supply cuts that have been in place since January until at least June, when the next meeting is scheduled. The OPEC and non-affiliated allies like Russia - known as the OPEC+ alliance - have been withholding around 1.2 million barrels per day (bpd) in crude supply from the start of the year to tighten markets and prop up prices. Moving on to the news from the realty sector, DLF share price is witnessing buying interest today. Shares of the company are trading 8% higher after the real estate developer on Monday announced the launch of a Qualified Institutional Placement (QIP) programme to raise Rs 31.8 billion. DLF said a meeting of Securities Issuance Committee of the board of directors is scheduled to be held on Thursday, March 28, to consider and determine the issue price of the equity shares to be issued in the QIP. This is the third major fundraising from DLF. In 2007, DLF raised close to Rs 92 billion through initial public offer (IPO). In 2013, the company had raised nearly Rs 19 billion through the institutional placement programme. Reportedly, the company intends to utilize the net proceeds primarily towards prepayment/repayment of a portion of the borrowings. As of December 31, 2018, the company's total debt and net debt aggregated to Rs 192.8 billion and Rs 173 billion. Last week, DLF announced its second joint venture with global realty investment, development and management firm Hines. India's largest real estate developer will work on a project with total value of 70 billion. DLF Home Developers (DHDL), a wholly owned subsidiary of DLF, and Green Horizon Trustee, an affiliate of Hines, have entered into a joint venture (JV) to develop a high-end commercial project in Gurugram. To know more about the company, you can read DLF's latest result analysis and DLF's annual report analysis on our website. Speaking of realty sector, note that The BSE Realty index has been volatile in the last five years. In 2017, the BSE Realty index was the best performer with a massive gain of 98%. In the next year, the index was the worst performer with a decline of 31%. In 2018, the realty sector took a beating on the back of concerns of higher interest rates and accounting changes (from percentage of completion method to completion method). The NBFC crisis added to the woes. Interestingly, 2018 also witnessed some improvement in real estate sales. 2019 hasn't been good so far with the index down about 3%. However, the recent budgetary support and interest rate reduction by the RBI could help to revive demand. Buying the right real estate stock today is the way to go. He believes, this could be the turning point for the real estate sector. Equitymaster requests your view! Post a comment on "Sensex Trades Flat; IT Stocks Under Pressure". Click here! RAJESH EXPORTS share price has plunged by 5% and its current market price is Rs 720. The BSE 500 is up by 0.5%. The top gainers in the BSE 500 Index are TATA STEEL (up 6.7%) and ALEMBIC PHARMA (up 6.2%). The top losers are RAJESH EXPORTS (down 5.0%) and 3M INDIA (down 5.5%). 3M INDIA share price has plunged by 5% and its current market price is Rs 24,740. The BSE 500 is up by 0.6%. The top gainers in the BSE 500 Index are ALEMBIC PHARMA (up 6.9%) and GHCL (up 6.7%). The top losers are 3M INDIA (down 5.5%) and PIRAMAL ENTERPRISES (down 6.1%). PIRAMAL ENTERPRISES share price has plunged by 5% and its current market price is Rs 2,560. The BSE HEALTHCARE is up by 0.2%. The top gainers in the BSE HEALTHCARE Index are ALEMBIC PHARMA (up 7.2%) and CIPLA (up 2.1%). The top losers is PIRAMAL ENTERPRISES (down 5.4%)..
ADANI POWER share price has plunged by 5% and its current market price is Rs 51. The BSE POWER is down by 0.1%. The top gainers in the BSE POWER Index are CG POWER & INDUSTRIAL (up 2.0%) and NHPC LTD (up 1.3%). The top losers is ADANI POWER (down 5.1%).. The BSE Sensex is trading up by 95 points, while the NSE Nifty is trading up by 38 points.